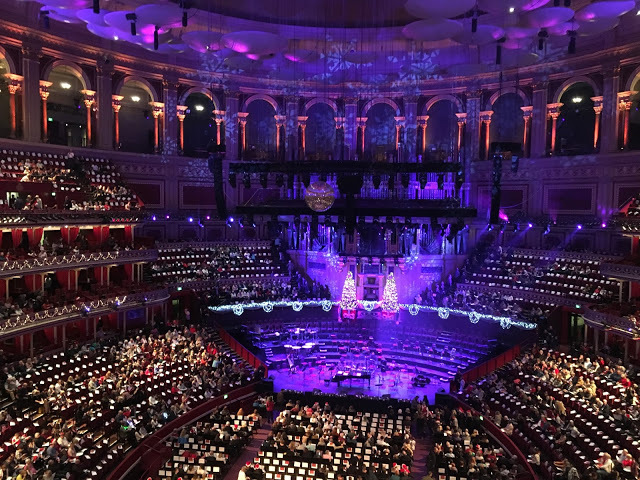 At Christmastime my family and I love to go to a carol service or concert to get into the festive spirit, and this year my Dad treated us to a day in Kensington, London to see the Christmas Carol Singalong Concert at the Royal Albert Hall. We got the train and tube up to High Street Kensington to have dinner in Cote Brasserie. I had a delicious soup to start, and then steak and frites for my main. After our lovely meal we made our way to the famous Royal Albert Hall. The concert was amazing and made us feel very Christmassy. All the singers and musicians were wonderful, and I really enjoyed the performance. My little sister especially enjoyed singing along to Let it Go and Away in a Manager. Once the concert had finised we started to make our way back home through all of the beautifully lit streets of London. Harrods looked incredible, and we passed by Winter Wonderland in Hyde Park too which looked fun! Overall I had a wonderfully festive day with my family!